Interscope RecordsTo celebrate Eminem‘s recently released album, The Marshall Mathers LP 2, BET reinstated its groundbreaking series Rap City with Big Tiger for one night only. 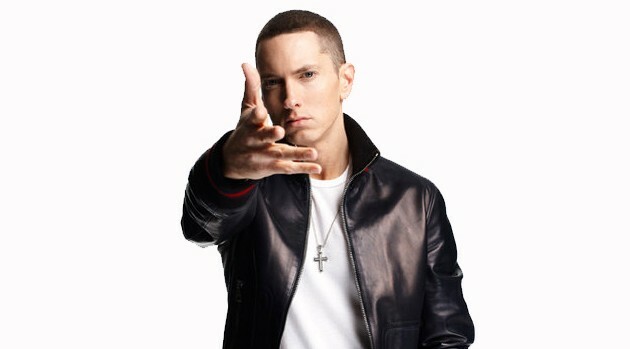 During the the special edition, entitled “Rap City Presents: Em 360,” the rapper gave a candid interview in which he discussed his future in rap. The closing segment of the show included a freestyle in The Breakroom alongside his rap crew, Slaughterhouse, which consists of Royce Da 5’9, Crooked I, Joe Budden and Joell Ortiz. Joe Budden recently told ABC News Radio that it’s good to see Slim Shady back in his element, in terms of providing real lyrical content in his music. Slaughterhouse is currently working on a new album, which Budden tells ABC News Radio will also showcase their lyrics. “We’ve always prided ourselves on being lyricists, and [on] word play and just rhyming and, you know, all of the things the culture was built on for us, anyway,” he says. While the upcoming Slaughterhouse project won’t arrive until March 2014, fans can get their lyrical fix with Em’s Marshall Mathers LP 2, available in stores now.